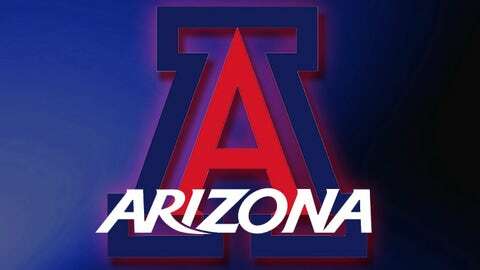 SEATTLE — Junior Candice Warthen scored 16 points, but the Arizona women’s basketball team fell to Washington 55-52 Friday night in its first conference game. Warthen shot 6-of-15 from the field, grabbed five rebounds and had two steals for the Wildcats. It was her eighth game this season scoring in double digits. Freshman LaBrittney Jones also had her second double-double of the season with 10 points and 11 rebounds. She also added three blocks in the game for her fourth game with three or more blocks this season. Senior Kama Griffitts added seven points and eight rebounds. As a team, the Wildcats outrebounded the Huskies, 45-44 and outscored them in the paint, 32-18. Defensively, Arizona held Washington to 55 points, 20 points below their season average of 75.6. "I didn’t think we made plays when we needed them, but I thought our kids fought," Arizona head coach Niya Butts said. "We did enough defensively, we just went too long without scoring and didn’t hold some of their major scorers down." Arizona fell behind by as much as 16 in the first half after hitting six three-pointers, but a 7-0 run to end the second half (all scored by Warthen) pulled the Wildcats to within nine going into halftime. Arizona came out big in the second half, outscoring the Huskies, 31-25. Arizona led for the first time in the game with 2:18 remaining, but Washington executed a 6-2 run to finish the game. "We just have to stay the course and I think we will be ready," Butts said. "We executed the game plan the way we wanted to execute it, so that’s all you can ask for as a coach. We just have to put the ball in the basket." Junior Aminah Williams led the Huskies with 13 points and 16 rebounds.